Ahead of the 2019 European elections in May, the European Parliament has launched a campaign to increase voter turnout. Nils Napierala argues that while this is clearly needed given the low turnout at the last elections in 2014, the campaign runs the risk of fuelling Eurosceptic sentiments by focusing too much on the EU’s successes and not on the challenges facing the integration process. 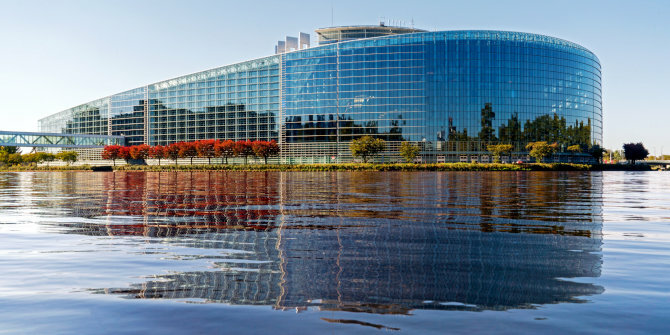 This year’s European parliament elections will determine the EU’s future as the parliamentary majority could fundamentally shift drastically in favour of populists and EU critics. There are already an increasing number of parties and even governments that position themselves as Eurosceptic in national elections. Populist parties across the EU have been effective in mobilising non-voters, and although anti-EU parties already rallied in the last European election, these recent successes may provide them with the momentum to significantly alter the composition of the European Parliament. Today, they seem willing to unite their power, and collectively they could stifle any attempt to deepen European integration. These are alarming prospects for the European political establishment. Non-voters will play a crucial role in the European elections. In the 2014 elections, only 42.6 percent of all eligible voters cast their votes. Should Eurosceptic parties succeed in mobilising similar proportions of non-voters at the EU level as they have domestically, they would massively increase their vote share in the Parliament. In their quest, Eurosceptic parties benefit from low public interest in and knowledge about the EU combined with high awareness of the crisis discourse surrounding it for many years. To succeed, these parties must transform citizens’ diffuse images of the EU into a negative attitude. Their narrative of the EU as an elite-driven, corrupt, and bureaucratic project will likely find avid listeners, as more EU citizens today distrust the EU (48 percent), than trust it (42 percent). Cognisant of the importance of the elections, the European Parliament has expanded its campaign activities to drastically increase voter turnout. In contrast to the elections of 2014, when the Parliament relied on external agencies, it now oversees the campaign itself. Under the slogan “this time I’m voting”, the Parliament is orchestrating hundreds of different communication activities. It is an enormous challenge: 27 (or 28 depending on Brexit) countries, 24 different official languages, and around 400 million eligible voters – all coordinated from Brussels. Besides conventional campaign work like media engagement, the European Parliament uses another innovative campaigning tool, which may be referred to as “mobilising the mobilisers”, in which they encourage ordinary citizens to join the campaign. The Parliament provides them with everything they need (banners, posters, pins, etc.) to engage others on the street, at their jobs, or on college campuses. So-called peer-to-peer communication can be a suitable tool to confront an anti-elitist narrative. It can access echo chambers to which classic campaign tools have no access. Considering the low voter turnout in 2014, these increased efforts to get voters to the polls seem necessary. However, the campaign is about more than increasing voter turnout. While it is conducted by the Parliament’s communications department, the bureau is responsible for its content. And it may have its own agenda. The bureau is composed of the European Parliament’s president and his 14 vice-presidents. Among them are five members of the European People’s Party and the Socialists & Democrats, respectively. These two parties have the greatest influence on the Parliament’s campaign and the most to lose in the election. They have an incentive to promote their own achievements and thus to communicate a positive image of the current state of the Union. Tellingly, one of the campaign’s key elements is a website with the notable name what Europe does for me. In solely focusing on its successes, the campaign fails to address the EU’s challenges. However, the prevalent crisis discourse surrounding the EU has made many people aware of the myriad of problems facing it. Thus arises the question of whether such a framing is believable. The lack of credibility combined with the existence of a strong counter-message could provoke dangerous converse effects, leading disillusioned people into the arms of populists. Experiments from political psychology have shown that weak messages can increase the persuasiveness of strong counter-messages. Thus, the EP’s message of success may fuel citizens’ feelings of not being heard, strengthen anti-EU messages, and further alienate Eurosceptic voters. The campaign will hardly mobilise potential non-voters. It speaks to convinced EU-supporters but will not help clarify or improve the EU’s diffuse and negative image among sceptics, especially when Eurosceptic parties offer a counter-framing that is much more attractive, conclusive, and convincing to them. All the more important are pro-European parties’ campaigns. They must address the entire electorate, non-voters included, to increase political interest throughout the populace. Hiding party competition behind a hymn of success will likely decrease political interest even further. To prevent this, political parties must campaign with constructive, distinguishable visions for the EU’s future and address its challenges, provoking debates and fuelling discussions. Populists succeed in creating passion among their electorate with the promise to reclaim political power for the people. This must be answered with even more passionate appeals for pro-European visions. The upcoming election may not be about celebrating a seemingly outstanding status-quo or stopping the process of European integration; it must be about constructive alternatives for shaping the future of the European Union. Such a competition, led passionately and credibly, could increase voter turnout and bridge the distance between the EU and its peoples. Note: This article originally appeared at the Dahrendorf Forum. It gives the views of the author, not the position of EUROPP – European Politics and Policy. It does not represent the views of the Dahrendorf Forum or its hosts the Hertie School of Governance and London School of Economics and Political Science or its funder Stiftung Mercator. Nils Napierala is a Research Assistant to Professor Andrea Römmele at the Hertie School of Governance and a PhD student at Humboldt-Universität zu Berlin. Thanks to the internet and ease of international travel, many more people are politically engaged in a wider sense. It means that the old and tried methods of fooling people get found out quicker and new methods must be applied to effectively herd the herd, which, as far as lying is concerned, is increasingly like a herd of cats. The lies of politics get found out. Then it’s up to the opinion of the voters. Some don’t worry about lying in politics, so it wouldn’t change their voting preferences, but people who feel they’ve been had will certainly consider voting against the Establishment. The EU project, since the Brexit referendum, has become more overt in its planning for enforced federalisation. Much more has come to be public about the ways and means the EEC apparatus and its movers and shakers were quietly preparing for a takeover of the member nation-states. Fortunately, the EU command, whoever they may be behind the scenes, are hoist with their own petard. A concoction of lies and constructive lies, untruths and grossly dishonest arm twisting will always come back to bite them on the bum. They, the EU federalisers and their globalising mates, work on the assumption of engineering a fait accompli and that the older voters who remember being lied to will die off and the young voters who don’t know any better will grow into the new order of essential corporate dictatorship naturally. Yes, it works to a degree and for a period of time. However, when a world is increasingly unstable the status quo made toxic with persistent lying and arm twisting, the centre will not hold. If only the EU dictatorship were not beholden to the globalising corporates and were really independent, they might, or rather, might have, pulled it off. There is something else with the EU projecteers that is deadly for them. Their project is a repetition of earlier attempts at making Europe a Federation of nincompoop states, for one. Then, their politics is soo 20th century. Their political philosophy, however, is the real killer, because it’s from early 19th century thinking, pre-Nietzsche. Just dumb thinking, but they can’t help it, because they have grown into their elitist positions from when they were babes. They can absolutely not imagine doing it any other way, thankfully.